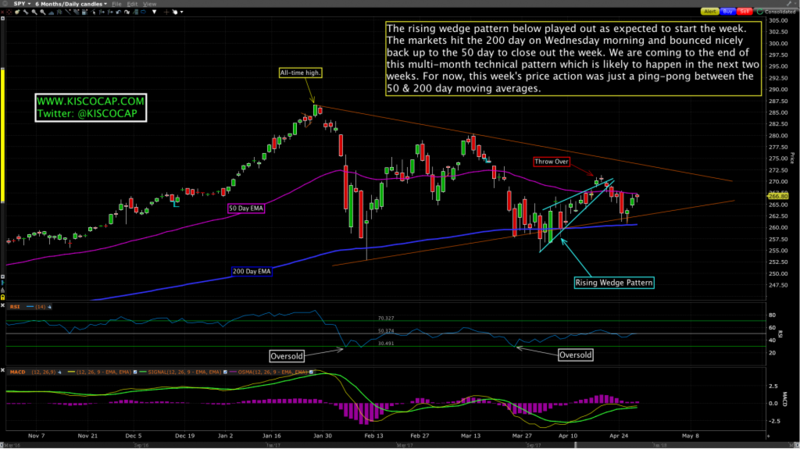 The market is holding it together despite the weak technicals. There is good Macro data (GDP – see below) and earnings are good due to the new tax policy and increased capital investment. But we still have to contend with Fed policy, rising interest rates and a reduction in their balance sheet (reversing quantitative easing). The Fed has never hiked this late in the business cycle so they are threading the needle between new fiscal and monetary policies. Are they that good? The open on Monday might be sloppy but we should pullback and find support. 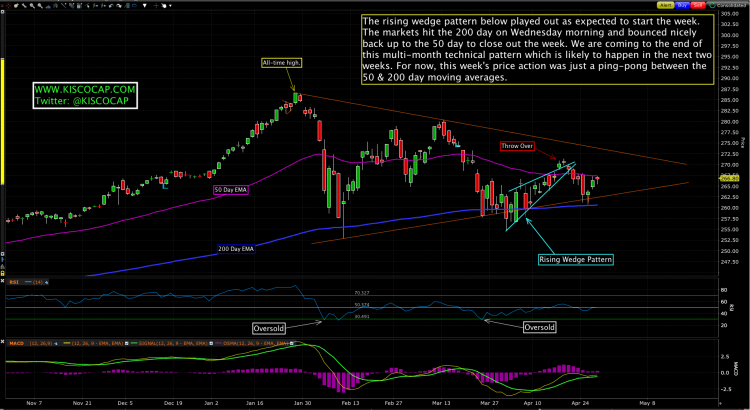 Reversing the gains from Wed/THU will signal a warning that a larger correction is afoot. I expect these levels will hold, however. 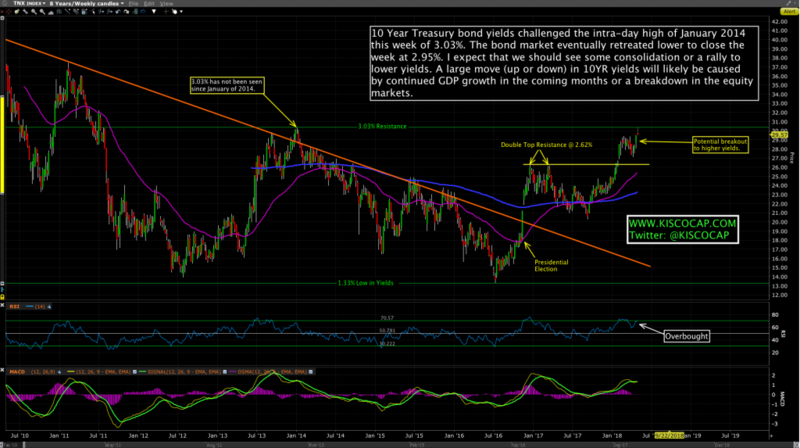 The Fed meeting is this week and their decision on interest rate policy statement will be released at 2PM on Wednesday. Non-Farm Payrolls or the jobs report is on Friday. Around the world, there are now between 390 and 400 large scale data plants, so-called hyperscale centers. According to data by the Synergy Research Group, 44% of those centers are located in the United States. The next most prominent locations are China, Japan and the UK, which together account for another 20% of the worldwide total. All the countless terabytes of our data is stored in vast data centers operated by the companies behind the cloud services of our choice. 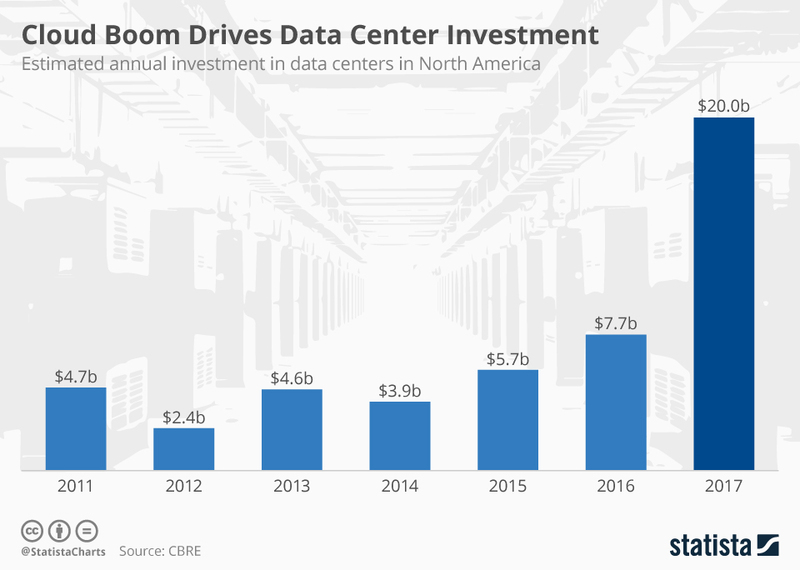 North American data center investment nearly tripled in 2017. At $20 billion, last year’s investment exceeded that of the previous three years combined and there’s little indication for this upward trend to end anytime soon. South Korea’s economy bounced back last quarter as GDP growth expanded 1.1%, buoyed by booming exports of data memory chips and a boost from government spending. Britain’s national income expanded by 0.1% compared to the previous quarter, below expectations of a 0.3% increase. That was the slowest rate of growth since Q4 of 2012. U.S. Real GDP grew at a 2.3% annualized pace in Q1, above estimates of 2.0%. Details were stronger than expected and pointed to solid underlying growth: Real final sales rose 1.9%; consumption came in slightly stronger than expected (1.1% vs. 0.8%); investment surprised to the upside with a 6.1% gain (vs. 2.4% expected). Net exports rose $8bn after a $56bn decline in 4Q, contributing 0.2pp in the first quarter, while government expenditures were modest at 1.2% growth. The March durable goods report came in at +2.6% after a 3.5% increase in February. The positive report was largely due to an increase in orders for new aircraft as orders for nondefense aircraft & parts rose a robust 44.5% in March after a 39.1% increase in February. Only one major category posted an outright decline in orders for March—orders for machinery, which were down 1.7%, partly driven by a large decline in metalworking machinery orders. US consumer sentiment in April slipped to the lowest level in three months but topped expectations as consumers took an upbeat view of their finances. The final reading of the University of Michigan’s survey of consumers for April fell to 98.8 from 101.4 the previous month but was above a reading of 98 that economists had forecast. That was however more optimistic than the preliminary reading of 97.8. Amazon Web Services has made a new foray into the world of distributed ledger technology. The company has released Blockchain Templates which will make it possible for users to build their own blockchain networks quickly and easily. Blockchain eliminates the need for a third-party intermediary by quickly creating a permanent, secure record of transactions. The U.S. Commerce Department has slapped a seven-year ban on U.S. sales to China’s ZTE for breaking terms of an agreement reached last year after it was found to be illegally shipping goods to Iran. Caught in the crossfire is Qualcomm, whose products account for the lion’s share of chips inside ZTE smartphones. Sub-Saharan Africa is falling into a new debt crisis, with 40% of the region now at high risk of debt distress – double the proportion of five years ago. Officials at the IMF are now urging all African countries to raise taxes to provide more scope for paying interest, which has increased to levels last experienced at the start of the century. US airline stocks tumbled on Thursday after two carriers warned of higher fuel costs that could feed through to fare increases. Shares of American Airlines fell 6.3% after the company lowered its 2018 profit forecast due to an expected $2.3B rise in fuel costs this year. CEO Doug Parker warned that sharply higher fuel prices were “feeling somewhat more like the ‘new normal’ ” and were likely to impact on the profits of other US carriers too.